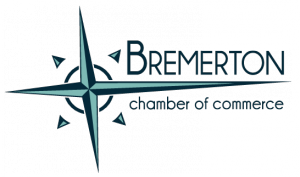 The Bremerton Chamber of Commerce is looking for vendors to participate in the Annual Armed Forces Day. The Armed Forces Day festivities should provide you with a magnificent opportunity to display and sell your specialty items. The date of the event is Saturday, May 18, 2019. Spaces for each vendor will be approximately 10 feet by 10 feet. Arrangements can be made if a larger space is required. Cost breakdown for this event is on page two. All registration forms and fees are due no later than Friday, May 10, 2019. Vendors must be approved by the Bremerton Chamber of Commerce's Armed Forces Festival Committee. Vendors will not be accepted from individuals, groups or organizations whose mission, agenda, or message is contradictory to the organizational mandate of the United States Armed Forces. Vendors advocating, opposing or depicting any political, social issues or endorsing candidates will not be authorized to participate in the event. No walking vendors will be permitted on the parade route.